Deep Thoughts; To Party or Not to Party? When heading down to Disney World during the party season you are faced with a question that plagues many travelers; To Party or Not to Party? No, I am not talking about partaking in drinking around the world at Epcot A LA frat boy. I am not talking about heading to Down Town Disney to show off your tequila induced dance moves. I am talking about the two parties that are offered to guests at the Magic Kingdom. Mickey’s Not So Scary Halloween Party and Mickey’s Very Merry Christmas Party are offered to guests at an additional charge on select nights beginning in September with the Halloween Party and continuing on into November and December with the Christmas Party. The decision to attend can be a tough choice. The parties offer special parades, fireworks displays, dance parties, and stage shows. During Halloween guests can trick or treat and fill bags with candy! During Christmas guests can enjoy complementary cookies and hot chocolate while they watch as it magically snows on Main Street USA. The rides are generally less crowded and it could be worth it just to ride without long waits! Here is my opinion. The parties are a great thing to experience, but they are not something that you need to do every year. If you are going to attend the party and pay the $55-65 dollar admission prices you can enter the park at 4pm even though the party doesn’t start until 7. Use the party as your park for the day. Take the morning off to relax, swim, eat lunch, rest, whatever! Then head to the park for a 4pm entry. This will allow you to lots of time to enjoy the park and what the party has to offer. Make sure you do the activities that are offered to party guests! If you are there for the Halloween party, by gosh, go trick-or-treating! If you are not going to any other parks during the day of your party, make sure you regular admission ticket reflects this! 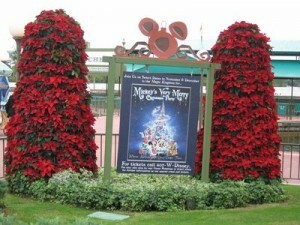 For example if you are going to be at Disney World for 5 days, buy a four day pass and a party ticket. You can always add another day onto your park pass if need be so long as you have at least on day left on it! This entry was posted in My thoughts, Planning Tips, Uncategorized and tagged christmas party, halloween party, thoughts, tickets, tips. Bookmark the permalink. ← Take a Day off- Rent a Bike!